We are the premier sixties rock & roll tribute show in North America. We are based in Las Vegas and tour all over the country doing our salute to the greatest music groups of all time. We perform songs from the Beatles, Creedence Clearwater Revival, Rolling Stones, Doors, British Invasion, Monkess and all the other great groups that defined a generation. 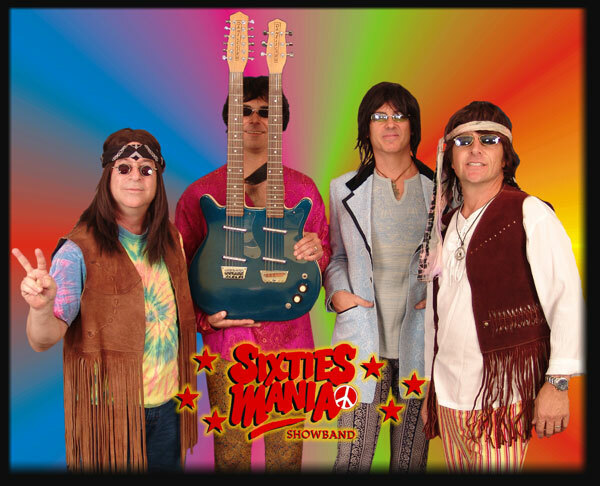 You can book Sixties Mania for your next event just by clicking the "Book Them Now" button to the right and filling out the form. We will be in contact with you about their availability as soon as possible.